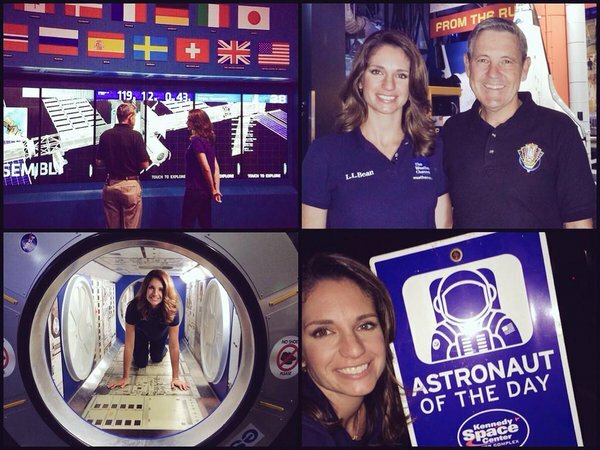 We love weather and for many of us, we love space, too! That’s me for sure. I’ve always been fascinated with space (I considered astronomy as a major before I discovered meteorology). If you follow me on social media, you probably have seen the evidence: lots of moon, planet and nebulae photos, astronaut retweets, and posts about celestial events coming up. 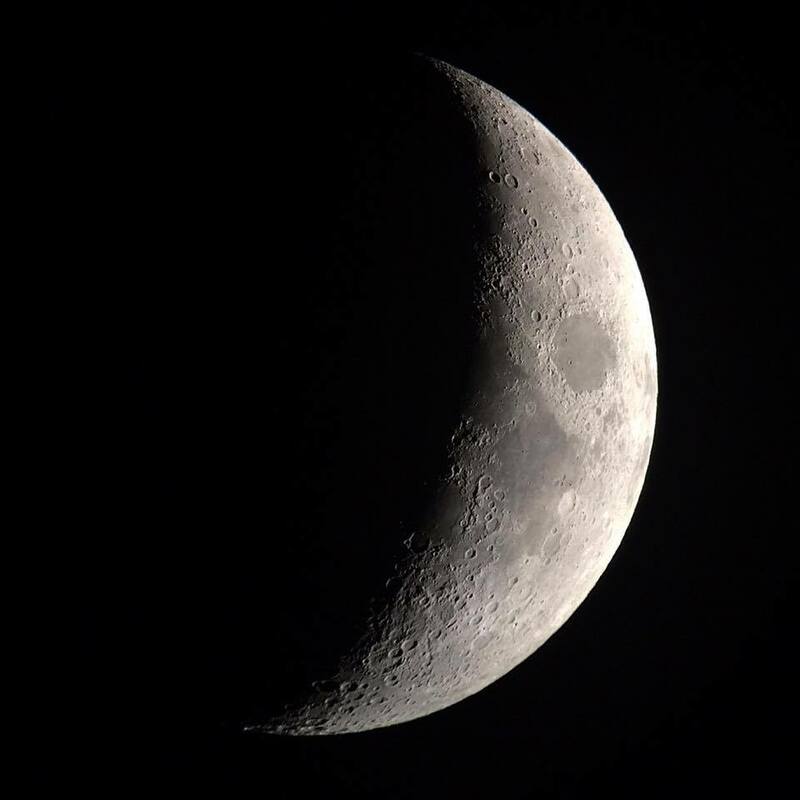 One of my captures of the moon. 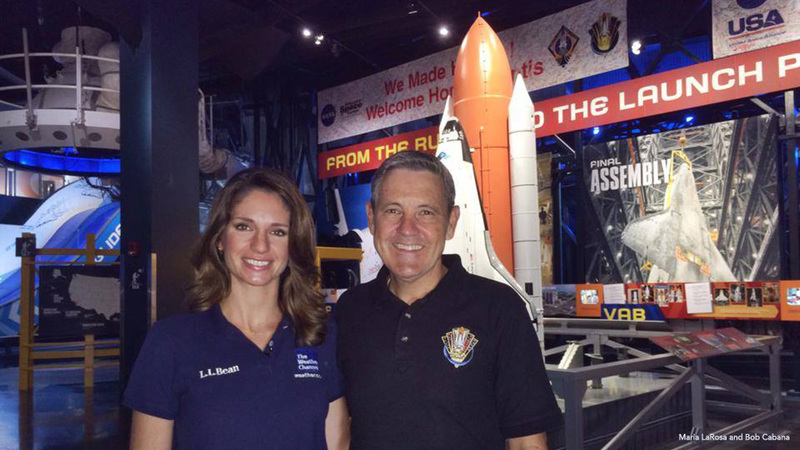 At the Kennedy Space Center with Director Bob Cabana. One of my favorite things to do is ‘Spot the Station.’ The International Space Station launched into orbit in 1998 and has been inhabited continuously since 2000. It is the largest man-made object in orbit, but what is extra amazing (to me, anyway), is you can see it fly over without any help—just your eyes and some planning. It will often outshine even bright and beautiful Venus or Jupiter in the sky. I’m pretty obsessed. I have now seen the ISS fly over in 12 states and 2 countries. I’ve photographed it, watched it, and had the great honor of meeting some of its visitors. I’m an ISS junkie! 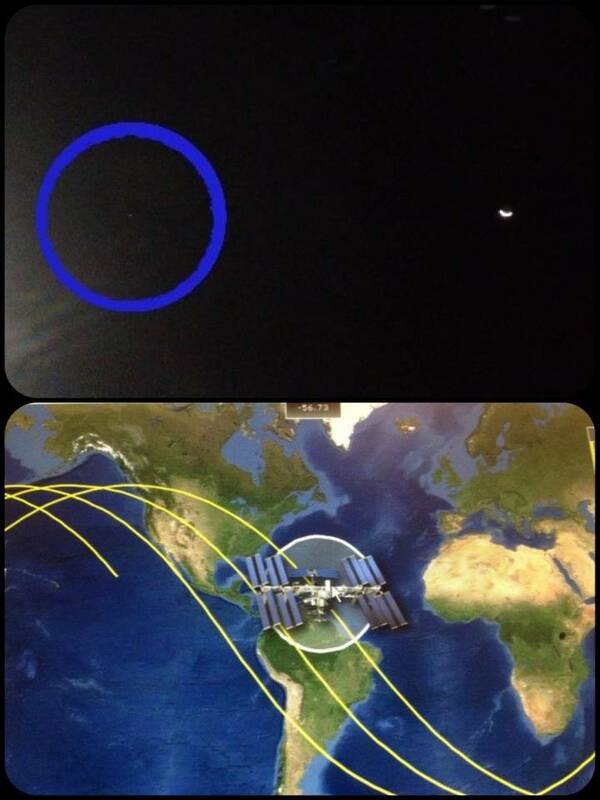 If you look closely here, you can see the ISS circled in blue to the left of the moon. The yellow lines on the map indicate the path of the ISS. 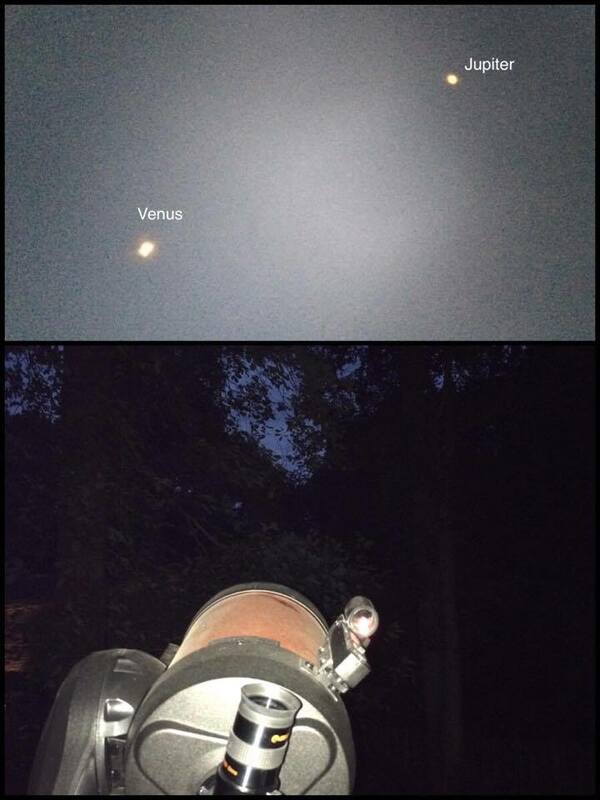 Here is a shot of Venus and Jupiter from my telescope. The ISS going across the sky. If I’ve sold you on the idea of spotting the station, there are lots of tracking apps that can alert you when it will be flying over your town. I like the simple satellite flybys page on spaceweather.com. You just type in a zip code and it finds when visible satellites (like the ISS) will be over that area, when, and where to look. Trent Smith works at the Kennedy Space Center and is part of the team testing out what can be grown in space. 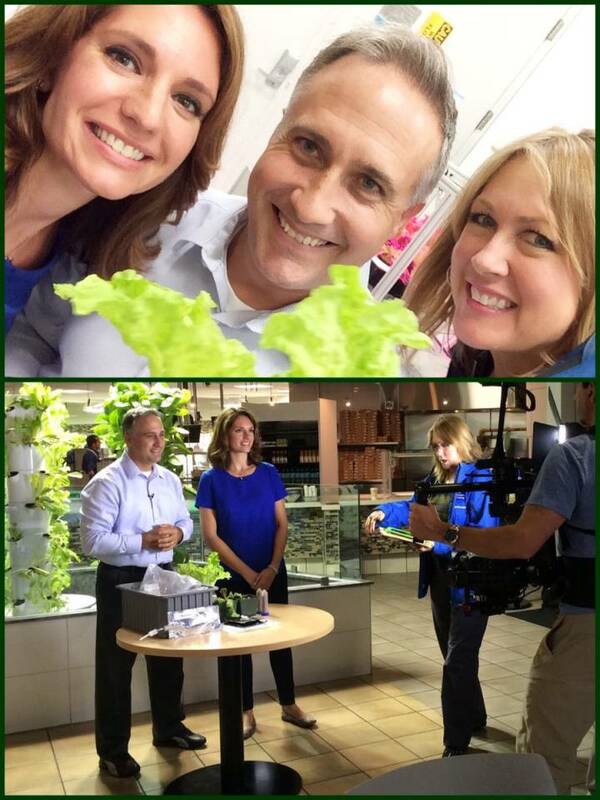 Above you can see a type of lettuce being grown on board the ISS. Obviously, clear skies and no precipitation are the best viewing conditions, but don’t let a few clouds stop you! Also, the great news is if you miss a flyby, they happen frequently, so there will always be a next time not that long after. Thank you! It is so exciting to be able to view the ISS!! If you go to NASA.gov you can sign up for spot the station. They will notify you when it will be overhead in your area. Finally! 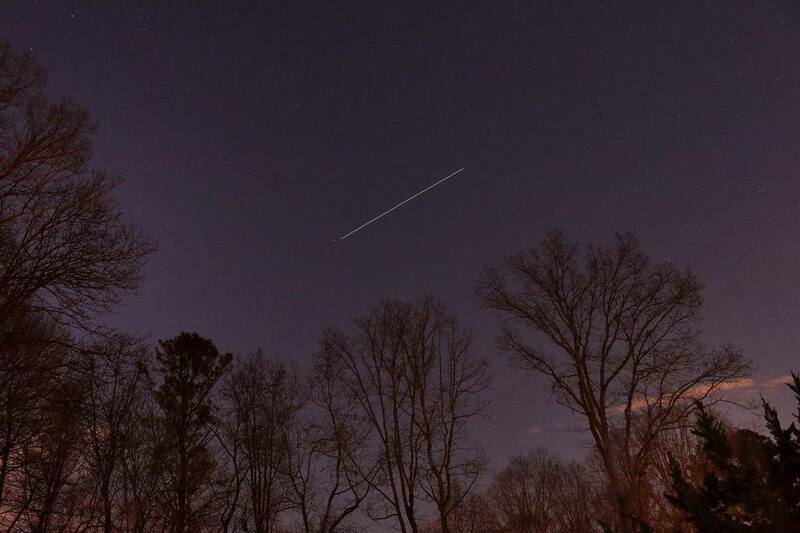 I was so lucky last night that the skies were clear & I saw ISS! So bright & fast, I’m amazed at myself that I’d never noticed it before. So very exciting! Maria, Thanks for the link to spaceweather.com, I didn’t know about that! I’m going to TRY to see ISS tomorrow! !